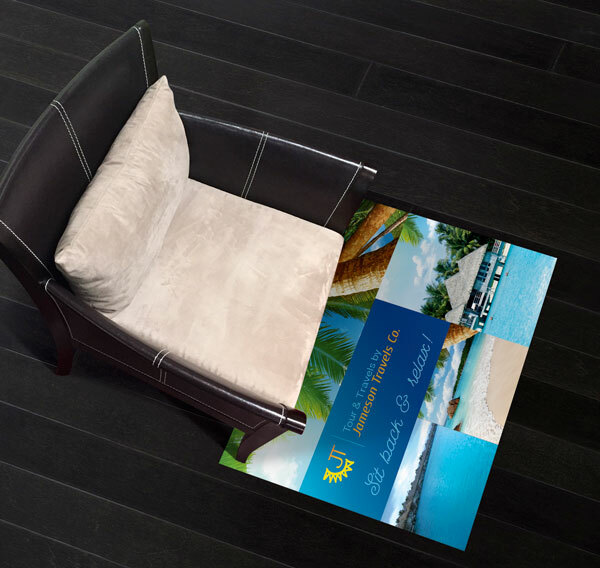 Our Floor Graphics are printed on 4mil flexible vinyl and have a removable acrylic adhesive. 6mil of clear overlaminate is added for a total thickness of 10mil. Suitable for short-term interior applications, the base vinyl will adhere well to most surfaces and can be easily removed from them as well. Tile, laminate or other smooth floor types must be thoroughly cleaned prior to Floor Graphic application. Make sure that painted floors have excellent paint adhesion before application as well. The base vinyl is not recommended for concrete, asphalt, carpet or any exterior application. The 6mil overlaminate is a clear, polished vinyl film with a slight texture that provides both a protective overlay and slip-resistance. Classified under UL 410 for floor graphics applications, the overlaminate can withstand most common floor cleaning chemicals and methods. 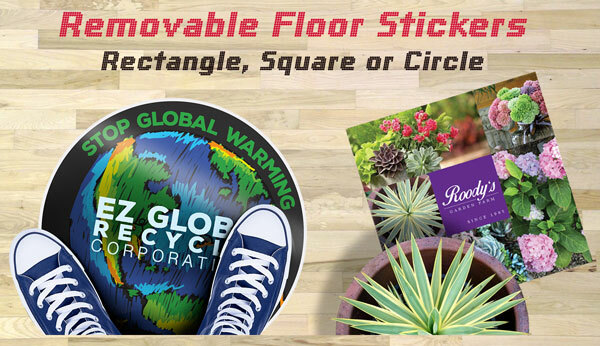 Under normal exposure conditions, our Floor Graphics can be removed within six months of application. - Select Size - 12" x 12" 12" x 18" 12" x 24" 12" x 36" 12" x 48"